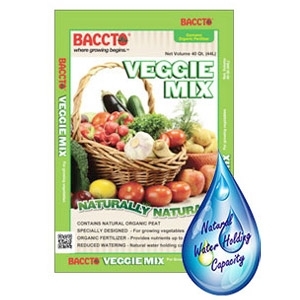 BACCTO® Veggie Mix features a natural organic fertilizer in a blend of natural dark, rich, reed sedge peat and dense, brown, fibrous sphagnum peat moss. 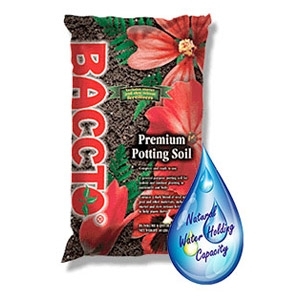 A general, all-purpose potting soil for indoor or outdoor plants in containers and beds, Baccto® Premium Potting Soil provides a special blend of naturally nutritious dark reed sedge peat, perlite, and sand. 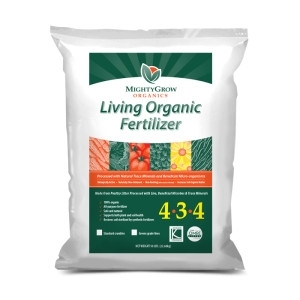 This formula includes both starter and slow-release fertilizers to provide the best possible plant growth from one easy-to-use product. 50 lbs. 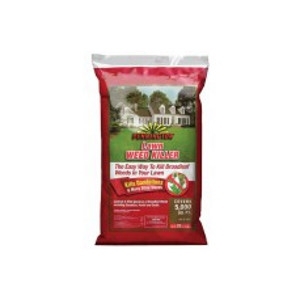 The easy way to kill broadleaf weeds in your lawn. Kills Dandelions and many other weeds. Controls a wide spectrum of broadleaf weeds. Covers 5,000 square feet. 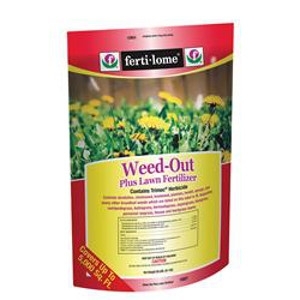 Weed-Out Plus Lawn Fertilizer, 20 lbs. Provides excellent post-emergent broadleaf weed control on cool and warm season grasses. Results in 7 to 10 days. Do not apply on Floratam or other improved varieties of St. Augustine Grass in Florida. Coverage: 5,000 sq. ft.; 10,000 sq. ft. 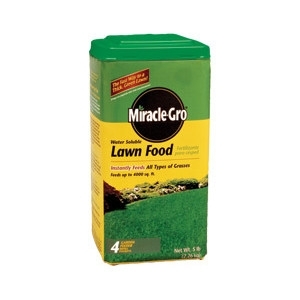 Lawn should be slightly wet before application, but do not water for 24 hours after application. 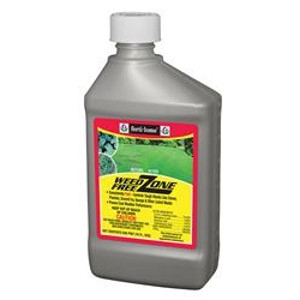 Contains three weed killers to stop Dandelions, Spurge, Dollar Weed, Wild Onion, Chickweed, Clover and over 200 broadleaf weeds, many of which are listed on the label. 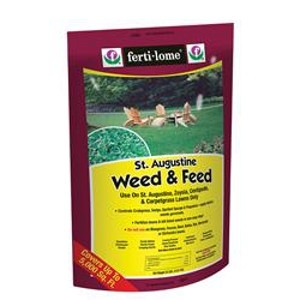 St. Augustine Weed & Feed, 32 lbs. Super Bloom Plant Food makes plants want to bloom. It contains chelated iron for quick plant growth and rich color in leaves. Plus, Super Bloom is instantly soluble and will not clog sprayers. Manufactured by Chastant Bros, this 21-10-5 blend includes magnesium and zinc to enhance developnent of pecan, fruit, and other citrus trees. Manufactured by Chastant Bros, this 5-20-20 blend is a great all purpose fertilizer, high in phosporus and potash for strong root development. Ready to use plant food--No mixing! No mess! 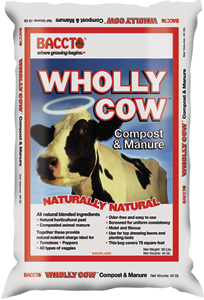 Easy to use--Simply apply directly to the soil of container plants. The most convenient way to feed your potted plants. This is the best general-purpose formula the Osmocote® brand has ever made available for amateur use. Each granule contains 12 essential nutrients. That's everything your plant needs to thrive, and the 6-month feeding pattern is controlled by the most advanced technology in plant food.